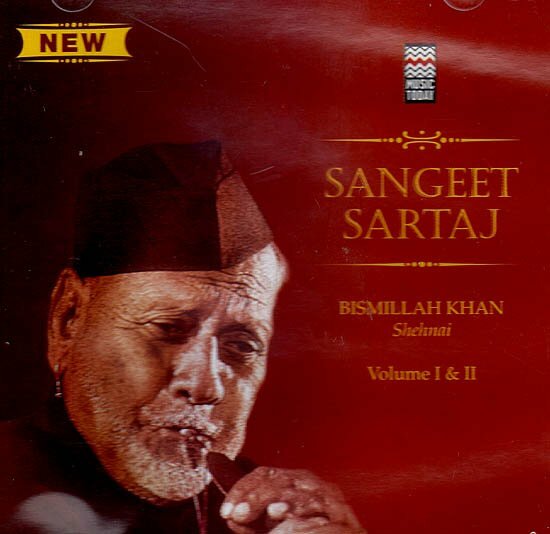 The unparalleled master of the shehnai, Bharat Ratna Bismillah Khan is truly a living legend. With his artistic virtuosity he has brought out the shehnai from the confines of wedding halls, and has single-handedly elevated it to the status of a concert instrument. Bismillah Khan’s ancestors were court musicians in the princely state of Dumraon in Bihar. He was trained under his uncle, the late Ali Bux ’Vilayatu’, a shehnai player attached to Varanasi’s Vishwanath Temple. An extremely promising student of the shehnai, the young Bismillah mastered a variety of forms of classical music such as thumri, chuiti and Tkujri. Later, after an in-depth study of khayal guyuki, he incorporated it in his instrument. Today while he is perfect in mugdauri, he is equally superb in the rendering of light classical forms. His devotional tunes played on the shehnai, particularly his rendition of the Ram Dhun and the bhajun Vaishnav ]m1a, are hugely popular. When Bismillah Khan plays, his shehnai sings. Bismillah Khan had the privilege of serenading our new born country from the ramparts of the Red Fort on the dawn of India’s Independence on I5 August 1947, as well as making the offering of Raga Kafi at the same venue on the eve of India’s first Republic Day ceremony He has played in Afghanistan, Europe, Iran, Iraq, Canada, West Africa, USA, .USSR, Japan, Hong Kong and almost every capital city across the world. Bismillah Khan always performs along with two accompanists, one of them being the main complimentary support. For many years, he was accompanied with the duggi as percussion. Later; he switched over to tabla as an accompaniment. Bismillah Khan brings a rare vibrancy and resplendence to Indian classical music. His music is an ocean, and he feels that he has barely reached the shore after his years of his life, and his search is still incomplete.